The Traveling Wilburys | You hear that?!? I’d like to commend Parks and Recreation for an excellent choice of series-closing song — the Traveling Wilburys’ “End Of The Line.” I’d also like to say thanks for the difference the show has made in my life. Parks and Rec didn’t just make me laugh, though it did that plenty. And it didn’t just produce profoundly warm and fuzzy feels, though it did that more and better than any show I can remember. For someone like me, who is convinced of the power, purpose, and collaborative imperative of government, it was deeply inspiring. There are a zillion reasons to be cynical about the president, or congress, or your local government, but Leslie Knope’s optimism has been like an antidote to that tired and ultimately destructive way of thinking, much like the Daily Show was during the W administration. Knope transcended the screen for me. That’s partly because Poehler exhibits many of Knope’s best traits by being such a big-hearted and socially conscious public figure. (Have you seen her “Ask Amy” videos?) It’s also because it feels like her character is even bigger than the show. 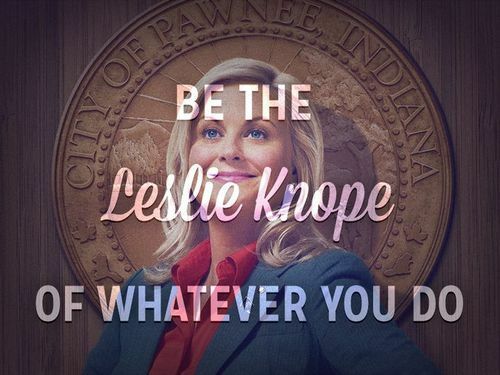 I’ll never forget the first time the words “Be the Leslie Knope of whatever you do” popped up on my Tumblr dash. I was like “Hell yes! 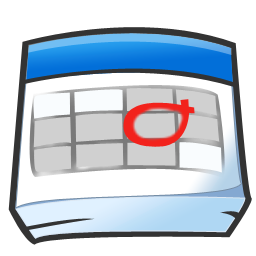 I’m gonna do that!” And even though I can’t — Knope’s example is asymptotic, and no human being could do what she did within the framework of a 24-hour day — I’m grateful when she pops into my head, because it reminds me that you can always care a little bit more and work a little bit harder. One more word about transcendence: Before I had a chance to watch the finale, I saw a GIF of the scene where Knope has a college library named after her, and for a second, I thought it was footage of an actual graduation where Poehler had received an honorary degree and a school had decided to name its library after Knope. I wouldn’t be the least bit surprised if that happened. That’s how much value I’d place in her example. I could go on, about Ron, about Andy, about the beautiful way the show depicts friendships, especially between men and women. But more than anything else, I wanted to say thanks to Parks and Rec for regularly reminding me, via Leslie Knope, that there’s a better version of myself out there — of our country, too — and that we should never stop trying to be better. In that sense, this is anything but the end of the line.